Thermarest Slacker Hammock Pad - A self-inflating hammock mattress. Add some cushion to your swinging hammock with the Slacker Hammock Pad. Designed to nestle perfectly inside a Slacker hammock, this mattress sports Therm-a- Rest AirFrame technology, combining self-inflating foam with air channels to give your swinging nights a little loft and added warmth. When the included stuff sack is turned inside out, an integrated, adjustable strap can be slipped under the mattress, converting the stuff sack (filled with a jacket or blanket) into a pillow or knee bolster that stays in place. 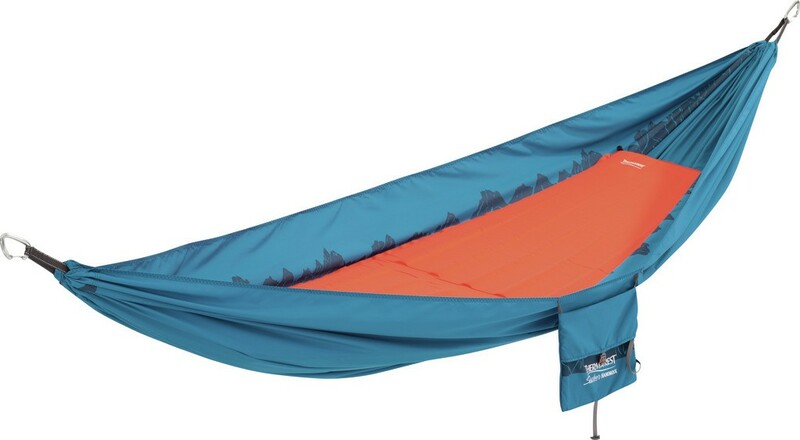 One-of-a-kind-unique: unique shape fits perfectly inside any double or single hammock. Insulates: Foam core insulates your hammock for a warm night's rest. 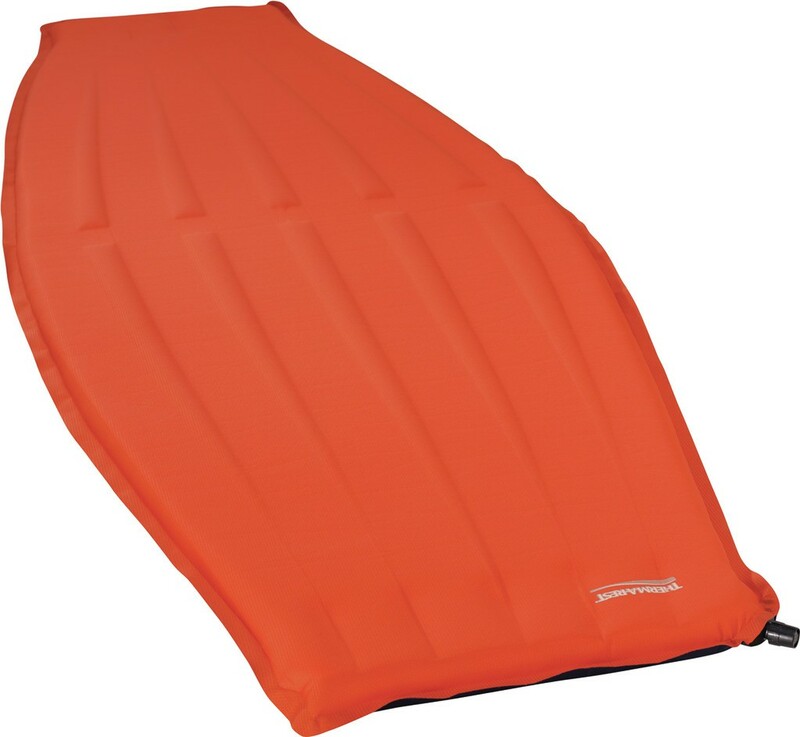 Easy to use: Airframe construction combines self-inflating convenience with air mattress comfort. Airframe construction: alternating channels of air and foam reduce weight, maximize packability and offer exceptional loft and self-inflation with minimal bulk.